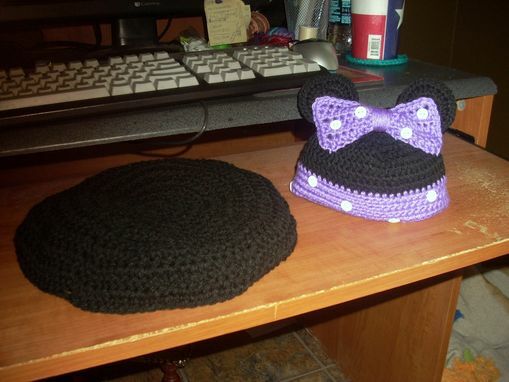 Mouse ears hat and bum cover. Great for newborn photo prop. 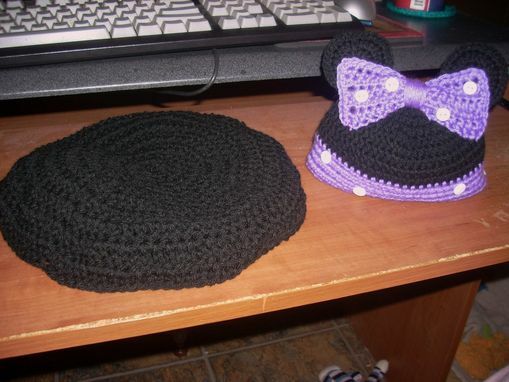 This item is hand crocheted. 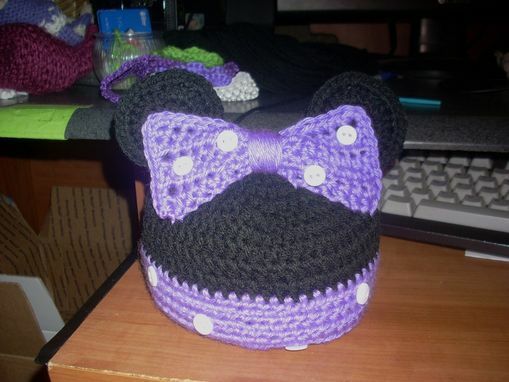 Can be made into the male form(Mickey inspired) as well. Sample is made from herrschners worsted yarn. This yarn is washable and dryable. This is a wonderful prop for a photographer to use many times.